The Bill, which lays down 33 per cent reservation for women in Parliament and state Assemblies, was passed in the Rajya Sabha on March 9, 2010, and awaits the nod of the Lok Sabha. 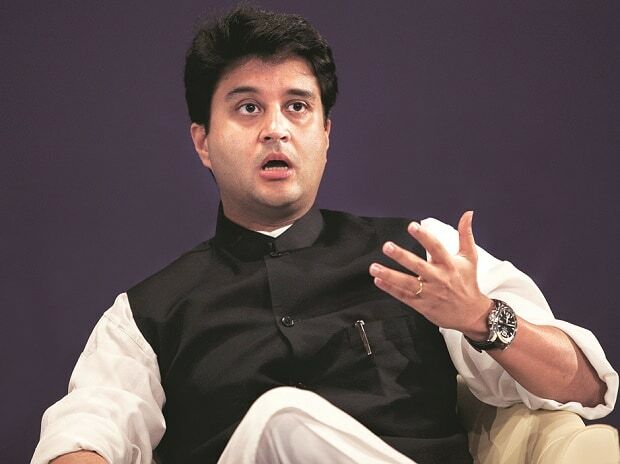 "If Congress comes to power at the Centre, it will pass the Women's Reservation Bill in the first session (of Parliament) itself," Scindia said at 'Sakhi Samvad', a programme for Anganwadi workers. He said UPA chairperson Sonia Gandhi, current party chief Rahul Gandhi and he himself were in favour of women's empowerment. Against the backdrop of a clamour from party workers to field his wife Priyadarshini Raje Scindia from the Guna-Shivpuri Lok Sabha seat, he said he would once again contest from the seat. "At present, I am standing before you as your Lok Sabha member. But after the coming elections, when the Women's Reservation Bill will be passed in Parliament, then I may have to come before you as sansad pati (MP's husband)," Scindia remarked. Praising his wife, the Congress' chief whip in the Lok Sabha said, "She is more qualified than I am. When the women's reservation bill will get passed, nearly 160-170 women MPs will work for the country's fame and honour." He hit out at forces trying to create an "atmosphere of intolerance" but claimed the country was secular and liberal where women have always been respected. The MP's wife, Priyadarshini Raje, who was also present on the occasion, said, "Maharaj (a popular term of address for Scindia) will continue to represent them (people of the region) and I have no plans to contest elections." Speaking on the issue, MP Congress spokesperson Pankaj Chaturvedi said there was a need for personalities like Priyadarshini Raje Scindia to enter politics to help society. "Though it is the party which will decide who will contest polls, workers have a desire that she should contest from Guna-Shivpuri Lok Sabha seat," Chaturvedi said. The Guna-Shivpuri Lok Sabha seat, part of the erstwhile princely Gwalior state, is a family fiefdom of the Scindias. The current MP's grandmother, Rajmata Vijyaraje Scindia, and his father Madhavrao Scindia have represented the seat several times in the Lok Sabha.